She's Fantastic: DC Primal Age - WONDER WOMAN! DC Primal Age - WONDER WOMAN! I'm loving the Savage World line from Funko. I never would have guessed that 35 years after the heyday of barbarian-style toys I would be so excited to see a throwback line. I never actually owned any Masters of the Universe figures (nor any of those Remco toys in the same style), but their impact on the action figure world is undeniable. So when Funko started producing these retro 5.5" action figures, I instantly saw potential. The first offerings were from Son of Zorn soon followed by Mortal Kombat X. Then at NYTF 2018 they officially showed the first few waves of product under the collective Savage World umbrella. (ThunderCats, Horror, and Conan). The doors had opened and my fantasy wishlist began (Sectaurs, Golden Girl, and Crystar are at the top of my list). Then Funko unveiled this surprise DC Primal Age line featuring classic DC character reimagined in a barbarian world. It's a really fun concept to get some A-list characters into the line. Let's check out Wonder woman below! Wonder Woman comes with a cape, a lasso, a sword, and a shield. Funko's marketing for this line was pretty brilliant. 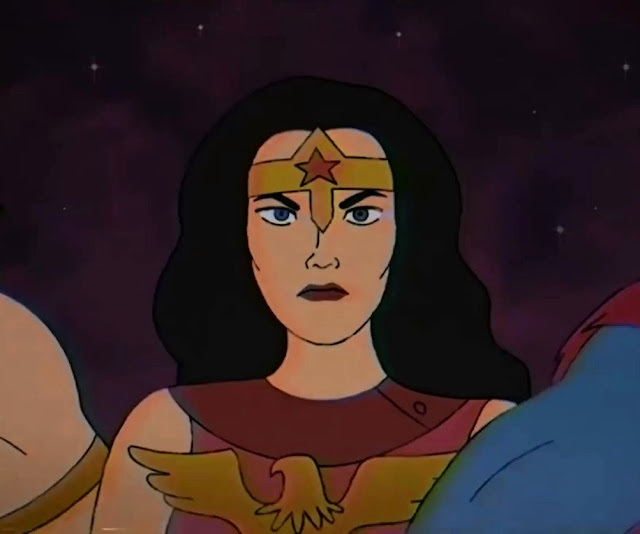 I'm not sure if there was a planned misdirection or if the fan community just ran wild, but their retro-styled animated clip (portraying the DC Primal Age theme as a long-lost never-produced 80's cartoon) was accepted as a legit discovery for about 24 hours. I can honestly say I wasn't deceived at all, but I love it anyway. 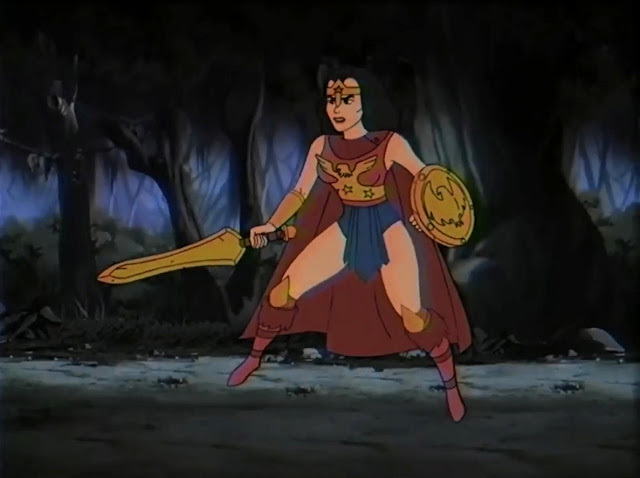 Below are some screengrabs of Wonder Woman from the commercial. Here is Wonder Woman with the first Savage World female, Kitana from Mortal Kombat X. And here she is with a vintage Evil-Lyn.